Mr. John Esposito, Vice President of Customer Strategy and Development at Collins Aerospace, visits COMAC__Commercial Aircraft Corporation of China, Ltd.
A group photo taken on December 20th, 2018. 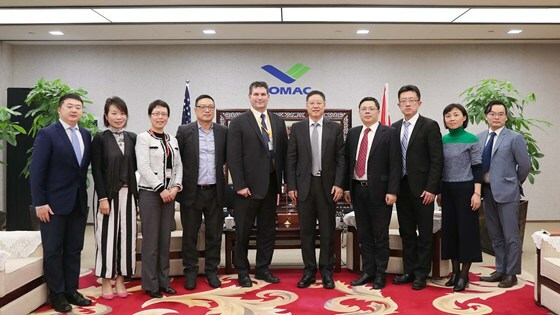 Mr. Guo Bozhi, Vice President of Commercial Aircraft Corporation of China, Ltd. (COMAC), met with Mr. John Esposito, Vice President of Customer Strategy and Development at Collins Aerospace, and his delegation on December 20th, 2018. Both sides had a friendly talk.